Prayer is such a vital part of Christian parenting. For parents who have purposed to leave a lasting legacy for their children, it starts with prayer. Nothing makes me feel as effective in prayer as when I’m praying scripture. I can feel the Power and Life in the Words. I can feel hope and strength. But sometimes I need help. I might be tired. Distracted. Or sometimes I just need fresh inspiration. I have a couple of go-to resources for those times, but I was excited when I received an email from Faith Gateway about a free resource they are currently offering. When you subscribe to Faith Gateway, you can download a free Praying the Scriptures for Your Children sampler. 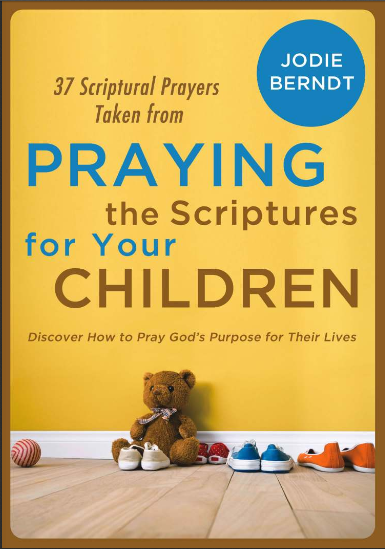 This free prayer resource includes 37 Bible verses written into prayers for parents to pray for their children. In addition, you’ll have access to quite a few other subscriber only freebies. Find out more about the offer here!